You’ve been working hard on your music, and you’re proud of your creation. You’ve slaved away at producing, mastering and generally tweaking your sounds to perfection. You may even have spent sleepless nights trying to get that perfect guitar tone without annoying your neighbors. Now, you’re finally ready to publish your tracks for the world to listen to. However, if you’re choosing to release your masterpieces to the world with a publishing company, you’re going to want to choose the company that’s right for you. Before you jump right in with a company, here are six things you need to know. Unfortunately, the publishing process isn’t as simple as sending a company your tracks and then releasing them. There’s a variety of deals out there, each with their own pros and cons, so it’s vital that you research which one is best for you. Most importantly, you should consider the legal contracts of each deal. There are plenty of different types available including Co-Publishing deals, Exclusive Songwriter Agreements, and Administration Agreements, so be sure to research each one before deciding which is best for you. The length of a publishing contract is usually defined by a term. Traditionally, a term will last a year, and then you’ll be provided with a range of renewal options. These renewal options are usually based on the performance of your tracks. Ensure you’re aware of these options before signing. This is, of course, known as the royalties you’ll receive for your music. Whether you’re releasing physical copies or making your music available as a digital download, the rate of pay you’ll receive will vary depending on the company you choose. Make sure you’re aware of how much you’ll be paid before signing, so you know how much you’re going to be paid. Research and ask what costs are involved when signing with a certain company so you can decide which one is best for you. When signing with a particular company, you need to make sure you know how you’re going to be paid. Some publishers may require you to earn a certain amount of money before you’re able to withdraw your earnings. While this may be okay with you, you’ll want to ensure your money is not being withheld from you inappropriately. Check to make sure you can be paid quickly and directly into your bank account. You don’t want to have to argue or beg with the publisher while trying to get the money that’s rightfully yours. Remaining on the subject of money, you’ll want to make sure that your chosen publisher company will provide you with real-time updates and reports on how much you’ve earned. Although reputable companies should be reliable, you’ll want the ability to check how many sales you’ve made and how much you’ve earned through them. Mistakes can happen, even with big publishers, so be sure to cross-check your earnings. The final point you’ll want to consider is making sure you’ll remain the owner of your music’s copyrights. If you’re not reading the small print, you may discover that the company has taken ownership of your music. There’s no reason why a company should take ownership of your music, and you should remain the owner 100% of the time. 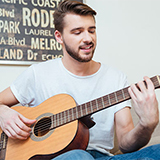 Gavin Whitner plays the guitar for his alt-rock band and blogs about music on MusicOomph. He can be most likely found watching sports when he’s not involved in music.